The NSA (National Sheep Association) is a specialist organisation that provides a voice for all members of the sheep industry –commercial, pedigree , upland or lowland , large or small. It was founded in 1892 and was then called “The National Sheep Breeders Association“ to develop a forum for progressive breeders to discuss their views and improve the breeding management of sheep. Over the next 70 years the association took a broader role and changed its name to the NSA in 1969. NSA receives no government funding or levies but relies almost entirely on the annual subscription of its farmer – based membership. The NSA hold many events , the association organises Sheep Technology Centres at the major agricultural shows – Royal Highland Show, Royal Welsh Show and Balmoral Show. These centres demonstrate information of interest to producers and visitors alike. 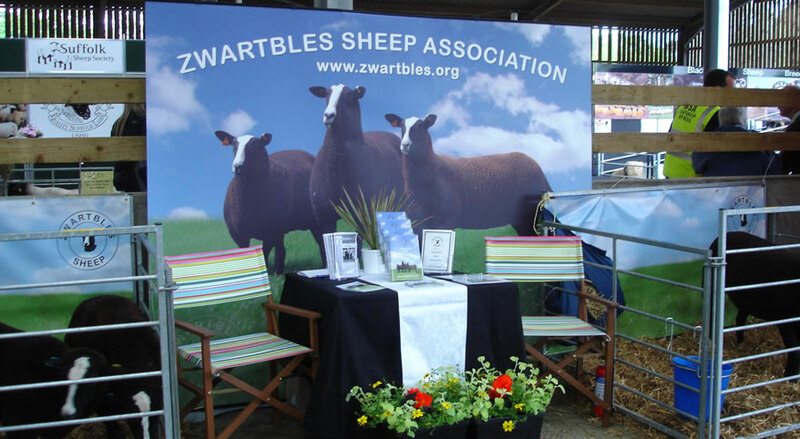 They include live exhibits from breed societies, the Zwartbles Sheep Association supports such shows and regional events where possible, they are useful sources of information on new technology and sheep health, fleece competitions and other details on a variety of sheep matters.